When a modern infotainment system freezes, it takes other important vehicle functions down with it. 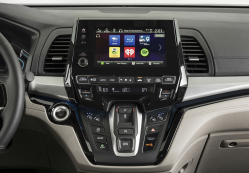 Honda has been sued for shipping a defective head unit that repeatedly disables the radio, backup camera, navigation, and other entertainment systems in the 2018-2019 Odyssey and 2019 Pilot. The lawsuit accuses Honda of concealing these known problems in more than 100,000 vehicles.